As Obama made his Middle East policy speech, 625 new housing units were approved for the Jerusalem neighborhood of Pisgat Ze’ev. The objections subcommittee of Jerusalem’s regional planning and building commission confirmed on Thursday the commission’s earlier approval of a development plan for the northern Jerusalem neighborhood of Pisgat Ze’ev. The approval was given followed a hearing, in which the neighborhood administration and residents expressed their opposition to some aspects of the development plan. They claimed that going through with the construction would add to traffic congestion, among other considerations. The plan calls for the building of 625 housing units, divided among 24 buildings ranging in size from five to nine storeys. The units would be built in an area between Highway 1 and Moshe Dayan Boulevard and would be part of a series of housing projects in the area. The plan also calls for public buildings and open space. The plan was approved more than a year ago, but it originally called for the construction of 1,000 new housing units. The plan was later modified due to intense pressure from the White House. 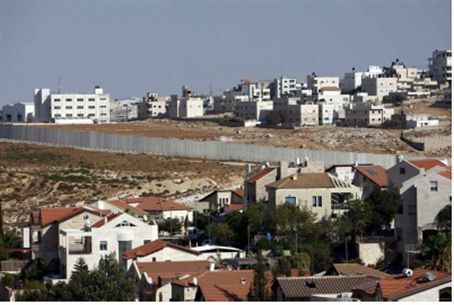 Harsh criticism from the office of U.S. Secretary of State Hillary Clinton forced the Israel Lands Authority to trim the plan down. The remaining units will be built for Arab families. At the time, the United States wanted to force Israel to comply with the building freeze in any part of Israel that was restored to the country during the 1967 Six Day War. The subcommittee on Thursday incorporated some of the objections into further development of the plan. The hearing took place as President Barack Obama made his speech on Middle East policy, in which he called for a “full and phased withdraw of Israeli forces” from “occupied Palestinian lands” to what he termed “1967 borders” - the 1949 armistice lines.